Heard the one about the Cuckoo, the Crab and the Cook? Whilst down at the reserve in Chongming Dongtan we met Miss Wang Junyan from Fudan University deep in the reedbed studying the productivity of Oriental Reed Warblers. They are common; probably thousands of breeding pairs. They are parasitised by Eurasian Cuckoos, which are also common. 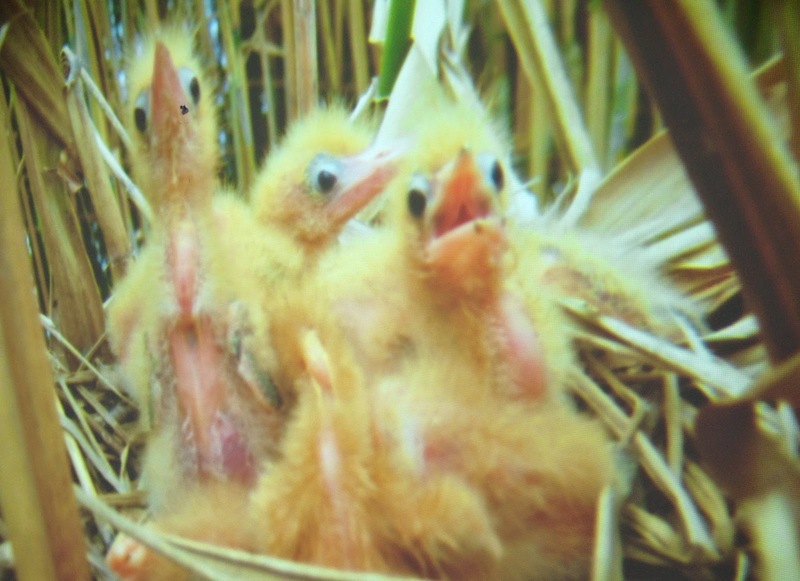 In fact in one study, 25% of Oriental Reed Warbler nests contained Cuckoos nestlings. Another abundant inhabitant of the reed beds is the Mudflat Crab Chiromantes dehaani, which rather amazingly can climb reed stems. It also turns out to be a nest predator, eating both eggs and chicks of both warbler and cuckoo. Apparently, the same study found that 39% of nests are predated by crabs. 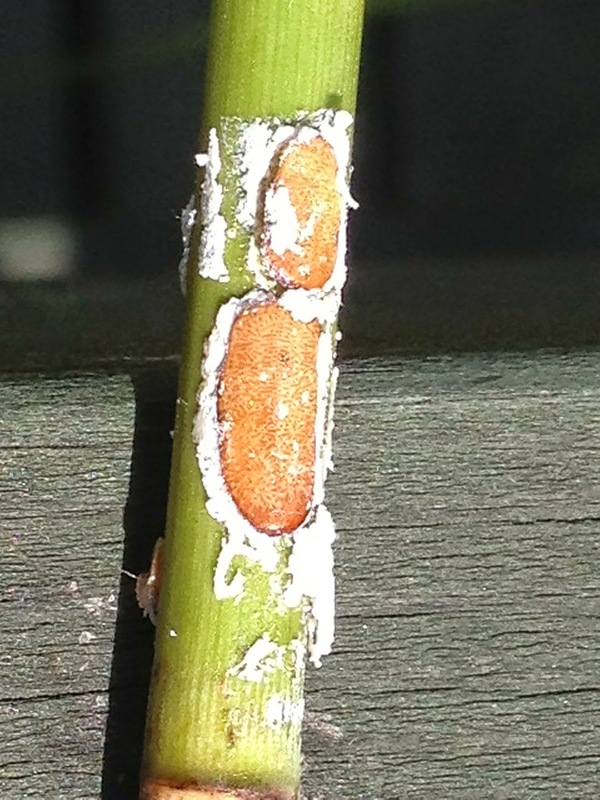 Or more accurately, 39% of failed nests have crab droppings in them. Crabs seem to like to climb up the reeds and sit in the nests. At an average height of 1.6 m to a nest, this seems a fair climb for a crab. 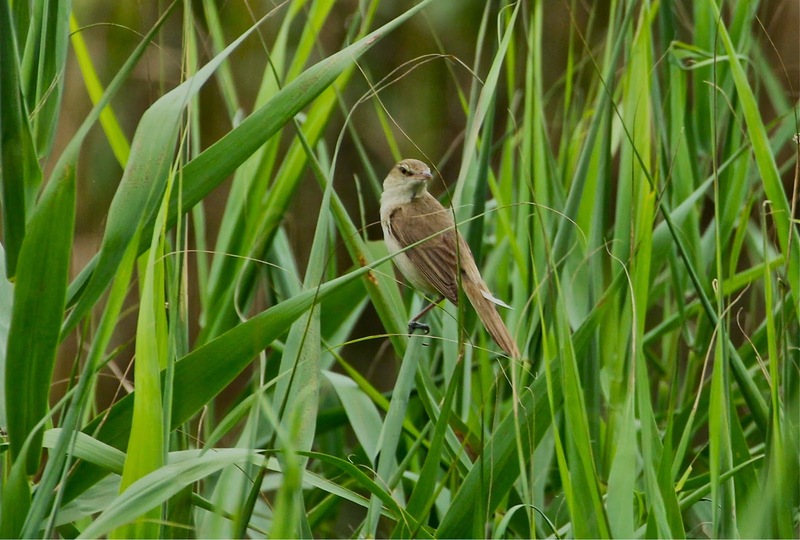 We searched through the reed beds and found a few nests of both Oriental Reed Warbler and Reed Parrotbill. The nests are similar in appearance but the Parrotbill lays on average 10 days earlier than the warbler, the nest is lower at 130 cm above water on average and is built of reed leaves slung between old reed stems. The warbler, by contrast, nests at 160 cm above water on average, uses new stems to support the nest and constructs with grass collected from outside the reedbed. These two common birds in the reedbed forage on entirely different food items. The Parrotbill eats wing-less insects, such as scale insects and stem-boring caterpillars, taken from concealed locations in the reed, while the warbler almost exclusively eats adult flying insects. 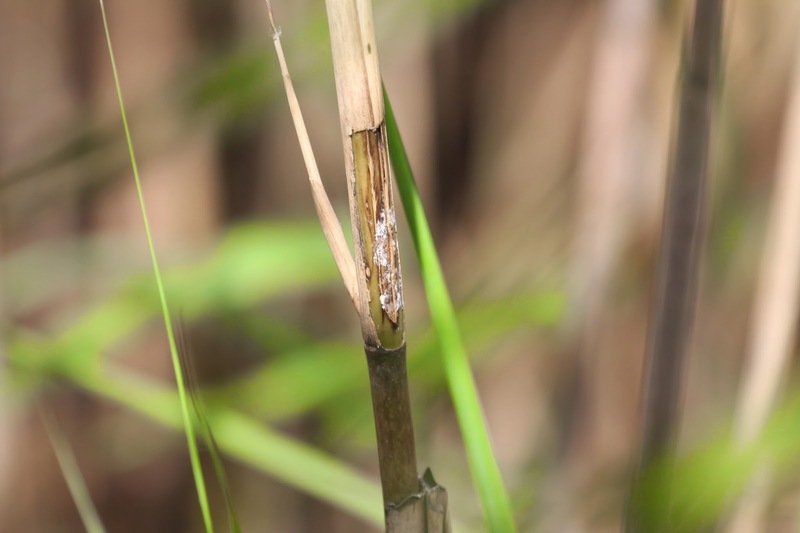 There seems to be lots of unanswered questions about crab predation of reedbed birds. Does water level affect the level of predation? Do crabs just like to sit in old nests? The crabs have a major predator themselves; man. The locals catch, net, trap and pick crabs from the reserve by the ton, despite the fact that only the claws are worth eating. We decided to weigh in on the side of the warbler and polished off a good many crab claws, nicely cooked with the holy trinity of garlic, ginger and chilli, a splash of soya sauce, a sprinkling of chopped spring onions and washed down with a cold beer. Yum. 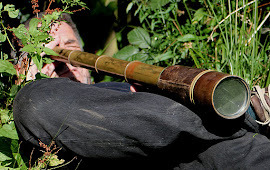 Top pics - the crab climbing reeds and Oriental Reed Warbler. Ringing warbler chicks from a nest with a nest camera in place.